With a program as dedicated as Cal, it has become normal to see records fall and medals won by Bears at international competitions. Over an eight-day World Championship in Budapest, current and past Cal swimmers combined for 13 medals and several different records. Although recent graduate Farida Osman finished the championship with just one medal, there’s greater significance to her performance than what meets the eye. Her bronze medal performance in the 50-meter butterfly broke her own African Record and marks the first medal Egypt has won at a World Championship. Osman’s new record marks a rare occurrence where the African Record is faster than the American Record, as Osman edged out Kelsi Worrell, who set the American Record in that same race. Osman wasn’t able to find the same success in her three other events as she just missed the finals in the 50-meter freestyle, the semifinals in the 100-meter butterfly and finished 25th in the 100-meter freestyle. 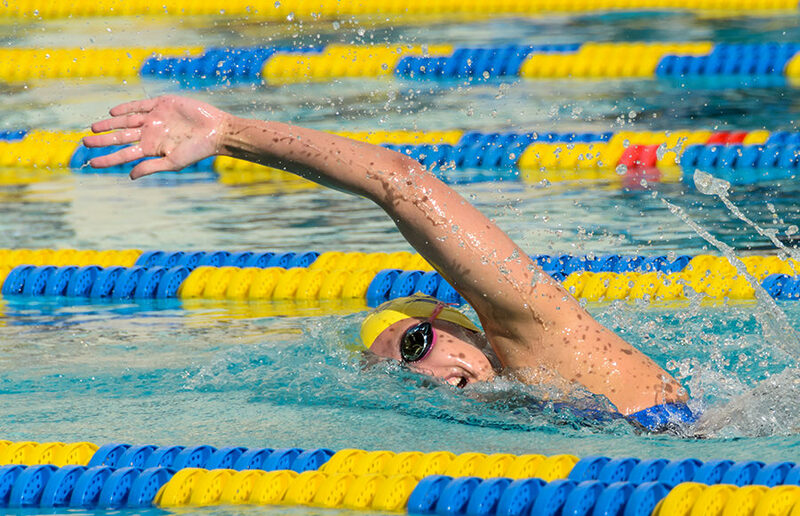 While Osman came home with a bronze medal and an African Record, Cal junior Kathleen Baker added a total of three medals, one of each color, an American record and a world record from the championship to her list of accomplishments. Baker’s gold medal came in the 400-meter medley relay where she teamed up with Indiana’s Lilly King, Louisville graduate Worrell and Stanford’s Simone Manuel to takeover the world record from a squad with former Bears Dana Vollmer and Missy Franklin. Although Baker was unable to take home a medal in the 50-meter backstroke to complete the trifecta of medals in backstroke events, she set a new American Record in the 50-meter backstroke and took a bronze medal in the 200-meter backstroke despite it being just the first time she’s swam the 200-meter backstroke at an international meet. As Baker continued Cal’s dominance of backstroke on the women’s side, recent graduates Ryan Murphy and Jacob Pebley got the job done on the men’s side. Pebley, who is quickly getting accustomed to life as a professional athlete, followed up his fifth-place finish in the 200-meter backstroke at the 2016 Summer Olympics with a bronze medal in the same event at the World Championship. Murphy finished ahead of Pebley, and behind Russia’s Evgeny Rylov, for the silver medal, giving Murphy two medals in individual backstroke races. Murphy’s racing strategy usually puts him in the lead early in the race, and his strength and endurance has been what keeps Murphy at the top, but this hasn’t been entirely the case since last summer’s Olympic Games. Rylov was able to storm out to a 1.58 second lead in the first 100 meters. Although Murphy’s second half of the race was faster than Rylov, Murphy was only able to cut off about a second off the deficit. Coming off an Olympics performance with three medals and a world record, Murphy was clearly frustrated with his performance in Hungary. Murphy finished the championship with two gold medals for his efforts in the prelims of the 400-meter medley and its mixed analog, which briefly gave Murphy a share of another world record for a total of four medals. 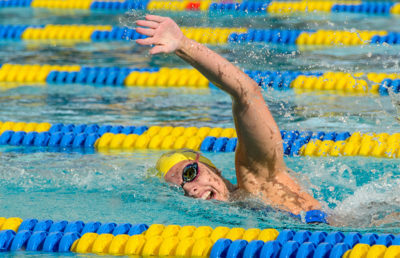 While Murphy will eventually have a chance at becoming one of the most decorated Cal swimmers on the international scene, Nathan Adrian has that title among active swimmers. Although Adrian, a sprint freestyle specialist, was overshadowed at this meet by Florida’s Caeleb Dressel, Adrian still found a way to walk away with three gold medals in relay events and a silver medal in the 100-meter freestyle. Adrian failed to final in the 50-meter freestyle. 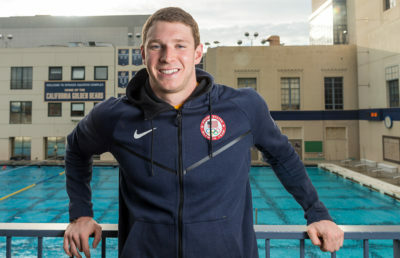 This year’s attempt could be different as he’s stated in interviews that he was changing racing and training strategies to focus on the back half of the 100-meter freestyle, which may have prevented him from achieving the necessary speed for earning a medal in the 50-meter freestyle. On the other hand, Dressel, who has been on a tear since the Olympic Games last summer, finished the meet with seven gold medals, which tied Michael Phelps’ record for most gold medals at a World Championship. By taking first place in the 50- and 100-meter freestyle, Dressel has potentially replaced Adrian as Team USA’s top sprint freestyle specialist. Dressel has also proved an elite aptitude for the sprint butterfly events as well when he was just .04 seconds off Phelps’ 100-meter butterfly world record from 2009 when “supersuits” were allowed. Other than Osman, Cal had a few other current and incoming international swimmers represent their home countries in Budapest such as Denmark’s Anina Lund, the Netherlands’ Robin Neumann and Singapore’s Zheng Wen Quah. The trio of swimmers were unable to earn medals in highly competitive events, but the international experience they gained will be valuable as they’ll factor into the men’s and women’s quest for NCAA Championships next spring. To lead some through that quest will be Team USA men’s head coach Dave Durden helped guide Team USA to a total of 38 medals.